With the arrival of the Soul Turbo, the boxy little runabout is now available with the terrific little turbocharged engine found in the Forte Koup. Continue reading. The awards went to the Soul (Compact Multi-Purpose Vehicle), Forte (Compact Car), Cadenza (Large Car), Niro (Small SUV) and Sorento (Midsize SUV). Continue reading. 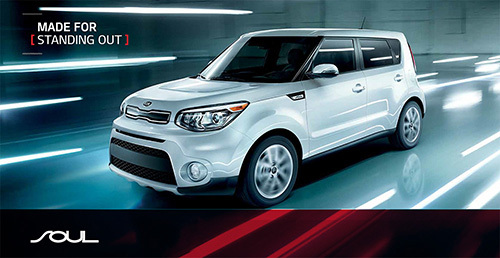 I like the Kia Soul. With the added punch of the turbo engine, I like it even more. Continue reading. You should buy the Soul if you’re looking for a small car that’s affordable, reliable, safe, and spacious. It’s one of the cheapest vehicles you can buy right now. The features are endless. Continue reading. That’s the Kia Soul. Good price, good mileage, and now performance. With more usable storage space than it’s competition, it is definitely worth a look. Continue reading.